If it’s a light and fresh dessert you’re after, you’ve come to the right place. 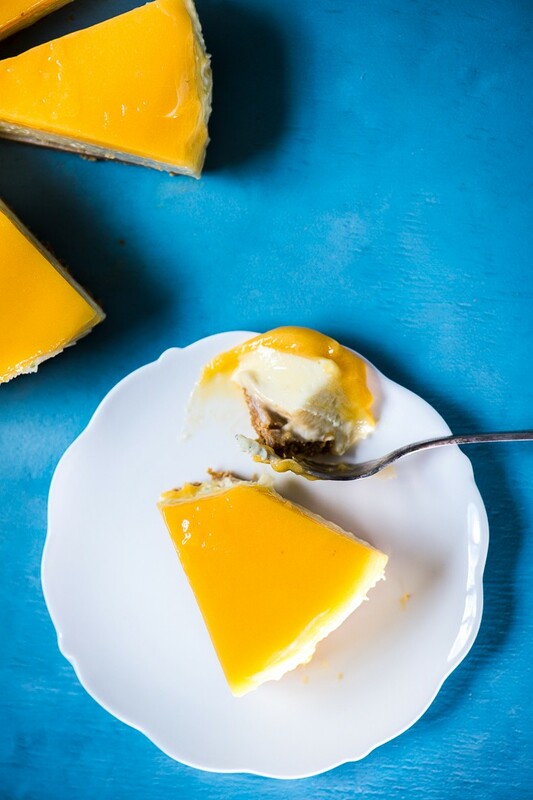 This delicious Lemon and Ginger Cheesecake makes a great ending to a heavy meal. 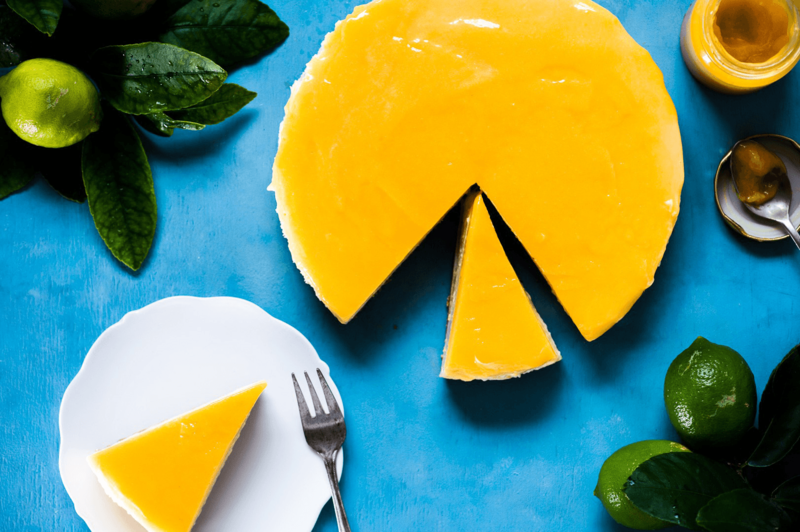 The tartness of the lemon curd cuts through the richness of the creamy cheesecake leaving you wanting more with every bite! If that hasn’t got your mouth watering then imagine the addition of a scrumptiously crunchy ginger biscuit crust. The result is the perfect combo of citrus and spice! 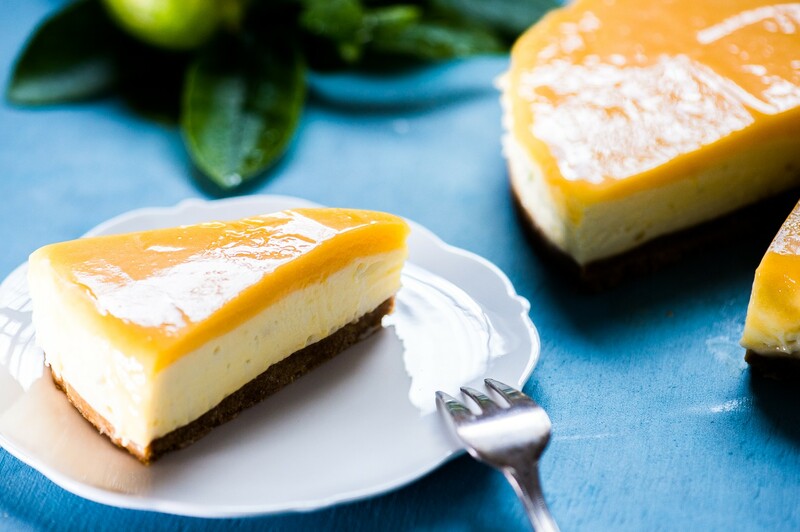 This cheesecake is really simple to make but needs to be prepared a few hours in advance. Or save yourself some time and make it the day before – the flavour actually improves if left to set overnight. Crush the ginger biscuits into fine crumbs using a food processor (or place in a zip-lock bag and crush with a rolling pin). Mix in the melted butter, then press the mixture into a greased 20cm diameter springform tin or pie dish. Place the base in the freezer for at least 10 minutes to set. Allow the cream cheese to soften at room temperature. Finely grate the zest of the lemons, then beat into the cream cheese with an electric mixer until smooth. Add in the condensed milk, then beat well. Finally add the juice of the lemons, mixing until smooth and glossy. Spread the mixture smoothly over the base, and refrigerate for 1 hour. Pour lemon curd over the cheesecake, tilting the tin to spread it over the whole surface, then refrigerate for at least another 2 hours. If the lemon curd is cold, slightly warm it by placing the jar in a bowl of warm water (but not too hot or the jar may crack), and give it a good stir. It should be liquid enough to pour. Ik heb het vorig weekend gemaakt om te kijken of het niet te moeilijk was. Ik heb het verschillende mensen laten proeven en ze vonden het heerlijk. Ik maak de lemoncurd op mijn eigen manier. Maar ik ga deze ook eens maken via jouw recept.